Use weatherproof clear silicone caulking along with self leveling fillers to seal your house. This will protect your home from the elements as well as critters looking for a warm haven. (1) Inspect the foundation, driveway and sidewalk for cracks. (2) Fill areas where the masonry meets the siding, where pipes and wires enter into the house, and around windows and door frames. Keeping up with the maintenance of your heat source is important to ensure uninterrupted warm winter nights. Gutters and downspouts need a proper cleaning to prevent overflow which can cause severe damage to your home. 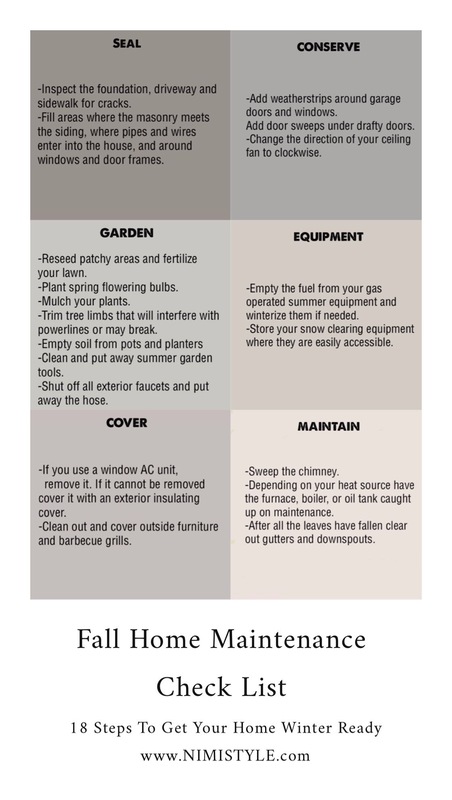 (4) Depending on your heat source have the furnace, boiler, or oil tank caught up on maintenance. (5) After all the leaves have fallen clear out gutters and downspouts. (100 feet) Ultra Flo Leaf Guard Gutter Protector for 5″ K-Style Gutters. Small Hole. 25 panels x 4.00′ each. Cover anything that will remain outside and exposed to the elements. This will lengthen the life of these pieces. (6) If you use a window AC unit, remove it. If it cannot be removed cover it with an exterior insulating cover. (7) Clean out and cover outside furniture and barbecue grills. Save on your heating bill by keeping the cold air out and keeping the hot air circulating indoors. (8) Add weatherstrips around garage doors and windows. Add door sweeps under drafty doors. (9) Change the direction of your ceiling fan to clockwise. Get your summer equipment ready for some time off and keep your winter equipment easily accessible so you’re not scrambling last minute. (17) Empty the fuel from your gas operated summer equipment and winterize them if needed. (18) Store your snow clearing equipment where they are easily accessible. Work on your garden now to see healthy growth in the Spring. (10) Reseed patchy areas and fertilize your lawn. (11) Plant spring flowering bulbs. (13) Trim tree limbs that will interfere with powerlines or may break. (15) Clean and put away summer garden tools. (16) Shut off all exterior faucets and put away the hose.